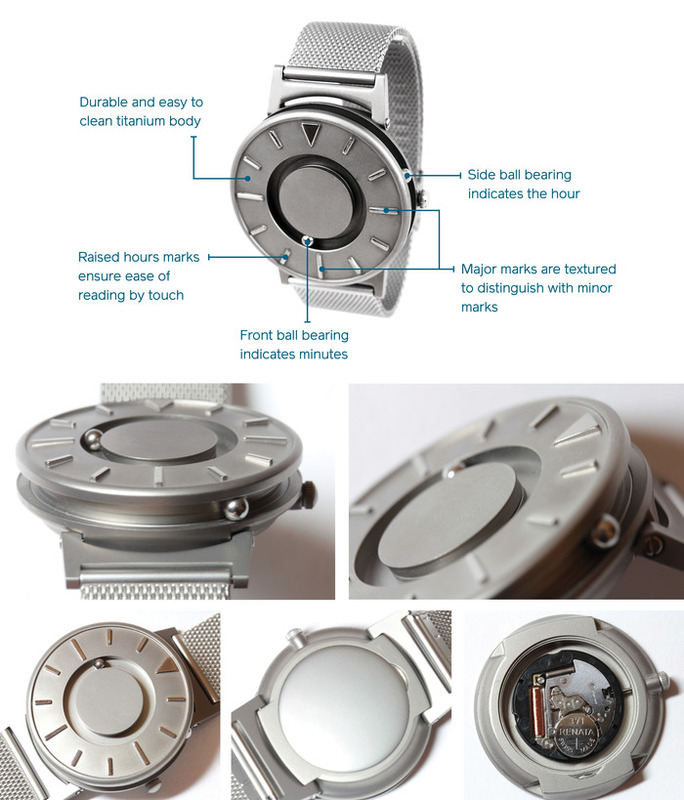 You read the time on this unique titanium timepiece by feeling the location of the ball bearings. The one on the side indicates the hour, and the one on the face indicates the minute. We’re featuring this timepiece on CochlearimplantHELP.com because some cochlear implant users also have limited vision. Talking watches aren’t always a practical solution! Read more about it, and even pre-order one, on Kickstarter! This entry was posted in News and tagged blind, Eone, limited vision, timepiece, watch by CochlearImplantHELP. Bookmark the permalink.